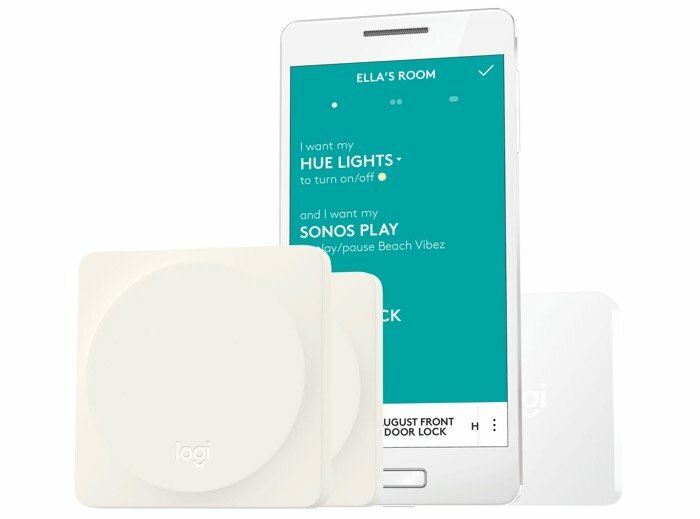 Logitech has announced a new accessory which is designed to control your smart home, the Logitech Pop Home Switch. The Logitech Pop Home Switch can be used to control various devices and also set up to perform different functions on each device. Logitech Pop Home Switch is compatible with a wide range of lighting and smart home products including lighting, door locks, and blinds from companies like LIFX, Phillips Hue™, Lutron, and INSTEON®, and you can mix and match product controls on an individual switch. Each switch can trigger three actions using different presses – a single press, a double press, and a long press. For example, you can set individual switches to turn smart products on/off, adjust brightness and scene presets, or quickly access your favorite Sonos music playlists and stations. Setup is simple. The Pop app (available for Android® and iPhone®) scans your Wi-Fi network for compatible devices in the home. Then, you can assign individual devices to a switch or combine multiple devices into a single trigger using Recipes — simple combinations of product controls you can set up using the Pop app. So, if you want to set the mood with lighting and the music turned up for date night, you can do that easily with a single press of Pop. Or if your kids want the music tuned to a specific playlist or the lights bright to help them concentrate when they’re studying, they can easily do that with another press. You can find out more details about the Logitech Pop Home Switch over at Logitech at the link below, the device will retail for $99.99 for the starter pack and then $39.99 for each additional switch.